On Sunday, May 27, 2018, the Daily Herald Editorial titled “Provo, where ‘Welcome Home’ doesn’t apply to the young, single professional population” addressed an issue that has energized many. The editorial alleges that “Provo wants single millennials out” or that “single professionals are not welcome.” This is a sad, inappropriate assumption. The young single professionals are critical to the vitality of our community and we need them to play a vital role in the evolution of our great city. In 2017, residents approached city officials asking for help with enforcing existing laws regarding occupancy and parking regulations. In conjunction with Council, the Mayor’s Office, Community Development, several citizens and many public meetings, a plan was developed to help Community Development enforce the laws that are in the books. One of those tools to aid in enforcement was the rental disclosure requirement. This disclosure requirement was to help lessors and lessees in understanding existing laws as well as to help Community Development enforce existing laws. With the rental disclosure, nothing about current occupancy limits was changed. Zoning violations were already prosecuted as a Class C misdemeanor. Penalties for zoning law violations need to be in place, otherwise they are merely zoning suggestions. 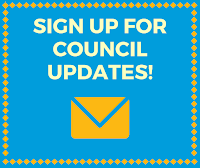 Currently, the Council and Administration are working hard to inform residents of the laws and new disclosure requirement. Letters have been sent, open houses held, and articles have been written and placed in as many forums as we have access. The great challenges we have in our community are growth and recognizing opportunities. Provo is going to have to evolve to fulfill the needs of our changing community. Our children want to stay and work here. Most of the growth in our county is created by our own children and families wanting to stay in this wonderful community. Our great challenge is not whether we want to change, but recognizing and dealing with the fact that we are changing. We need to solve the problems of available and affordable housing for those that want to live in our community. While there are many social and financial benefits to home ownership, the City Council recognizes that Provo also contains several demographics that rent out of necessity or by choice. Those demographics are growing in our community and we, as a Council and a community, need to recognize that situation. Right now, the real problem we have is that there is a lack of quality affordable housing for single adults who want to live and work in Provo. The City does not create housing but we can create conditions amenable to development of housing by regulating use and development of land. Some complain that zoning regulation is a form of segregation or discrimination but to some degree that would make any and all zoning law discriminatory or segregationist. Zoning is always a challenge because by its nature zoning creates conditions which affect occupancy, parking, and other needs of an important population. The City Council is working to help solve some of the challenges we have with regard to housing by approving more high-density housing. We cannot and do not want to approve all proposed high-density developments because of lack of infrastructure or complete disregard to the character of the neighborhood in which a project is proposed. We have adopted Supplementary Residential (S-Overlay) and Accessory Apartment (A-Overlay) zoning to accommodate household and life cycle changes. We might be the only city in America that has introduced a “Baching Singles Overlay” to promote housing specifically for the needs of students and single adults. The City Council recognizes that the Provo we love is evolving and for better or worse, it means we are changing. We strive for better. 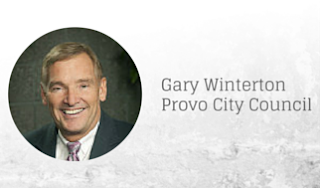 My fellow Council members and I are sincere in wanting ALL of our Provo residents to feel welcome. We hear from residents, developers, and businesses, ultimately from both proponents, and opponents on any given issue. We hear from City staff, along with many boards and commissions. Our job is to weigh the benefits and outcomes along with maintaining compliance with federal, state, and local laws. We look at best practices, codes, and standards. We then look for ways to improve this great city with all that input. I invite you to join with us as we tackle the challenges of growth and change and the diversity of opinion that come with those challenges. Bring and suggest solutions, be part of the solution. Work with us on your ideas and proposals. I know our Council is open to these critical conversations.